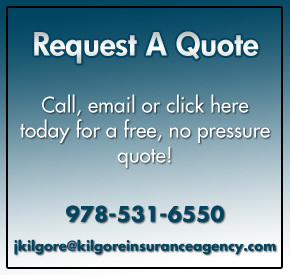 Kilgore Insurance Agency also provides a full range of financial and life insurance services to individuals, businesses and non-profits across New England. We help our clients protect and build their personal wealth and can help manage the financial health of their business as well. Our team of advisors will help you examine proven products and financial strategies using our vast experience to successfully generate income, protect assets and care for the needs of others long into the future. We believe in the value of strong, personal relationships which sets us apart from many financial firms. We get to know our clients so we thoroughly address their strengths and/ or weaknesses, short and long term goals, hopes and dreams for the future and other financial needs through all of their life’s stages. This diverse expertise is supported by some of the industry’s most sophisticated analytical software, tools and technology. You make dozens of financial decisions throughout the course of your life. Wouldn’t you like the peace of mind knowing that all aspects of your personal economy are working efficiently now and well into the future? Let our team at Kilgore help you achieve all that is possible.